No home electronics lab is complete without a signal generator, logic analyzer, and digital oscilloscope. But why purchase the measurement devices separately, when you can build one system that houses all three? The process is easier than you’d expect. Photo 1: Hand-soldering a package this size is tough work. The signal-generator filter has bulky coils. In contrast, the Texas Instruments MSP430F149’s PQFP64 is tiny. I’ve built an inexpensive and versatile measurement system that contains a signal generator, logical analyzer, and digital oscilloscope. If you build your own, you’ll be able to address many of the problems typically encountered on test benches. The system is not PC-bus connected. Instead, it’s external to the computer, making use of the RS-232 serial port shown in Figure 1. Also, it doesn’t have a power supply input, so the same serial cable feeds it. Because the computer’s serial connection provides limited power, low power consumption is a fundamental requirement. Figure 1: It is of interest to have your test benches as clear as possible to search for the faulty part of your design. So,a small measurement system is highly recommended. It’s better if it isn’t connected to the mains. 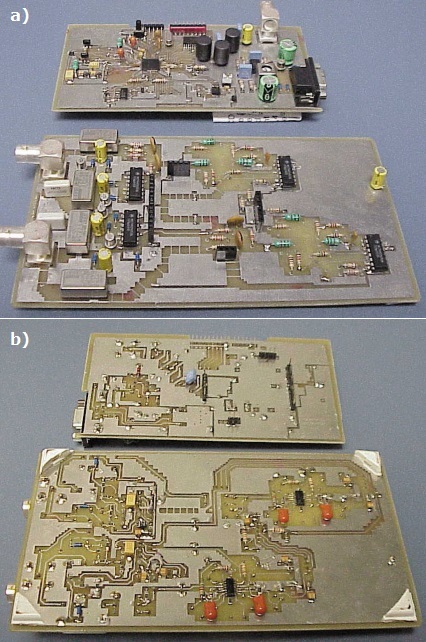 The low-power goal is achieved with a small number of components—the fewer the better. So, I quickly became interested in the Texas Instruments MSP430F149, which is a highly integrated device with low power consumption. 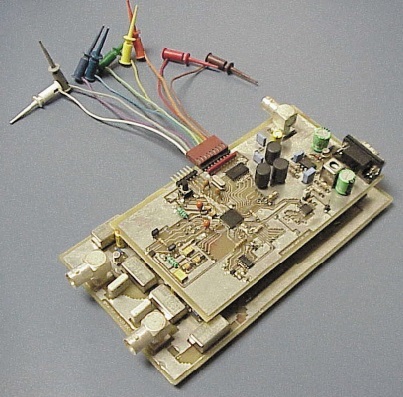 Note that everything is integrated except the oscilloscope analog chain (coupling and programmable amplifier), part of the trigger circuit, and the input buffer for the logic analyzer. The microcontroller works with an 8-MHz crystal oscillator. This application uses the register bank, the entire RAM (2 KB), and nearly all of the peripherals. The peripherals used include the 16-bit TimerA and B, ADC, analog comparator, multiply accumulate, and one USART with modulation capability. Only the second USART is spared. The system has several main features. You can control and display on the PC by running software implemented on LabWindows/CVI. In addition, it has a signal generator based on the direct digital synthesis method and a frequency of up to 6 kHz with 0.3-Hz resolution. The output voltage reaches a peak of 1.3-V (±2 dB) fixed amplitude. The signal generator works simultaneously with the oscilloscope and logic analyzer (but not these two). I included a digital oscilloscope with two channels that have 1-MHz bandwidth, 8 bits of resolution, and 401 words of memory per channel. There are 10 amplitude scales from 5 mV to 5 V per division and 18 timescales from 5 μs to 2.5 s per division. Note that there are four working modes: Auto, Normal, Single, and Roll.The logic analyzer has eight channels, 1920 words of memory per channel, and sampling from 1 to 100 kS/s. It is trigger-delay selectable between 0, 50, and 100% of memory length. 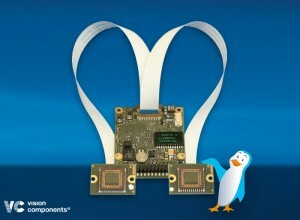 Looking at Photo 1, you see that the system’s hardware consists of two separate boards that are attached to each other. Photo 2a shows the tops of the boards, and Photo 2b shows the bottoms. Photo 2: a—You can replace the relays in the coupling section and the driver circuit with solid-state relays if you can find ones with low leakage current. b—The op-amp’s SMD packages are best viewed from the bottom. The larger board is populated on both sides. Note the importance of the parasitic coupling of the PWM D/A outputs to the input of the amplifiers. The larger board contains the oscilloscope analog chain: BNC connectors, relays (and circuit controller) for DC-GND-AC in the coupling section, and the digital programmable attenuator/amplifier. The top board contains the DC/DC converter power supply, charge-pump inverter, serial communication driver, low-pass filter, trigger (real and equivalent time sampling) circuit, channel-trigger selector, and the microcontroller. 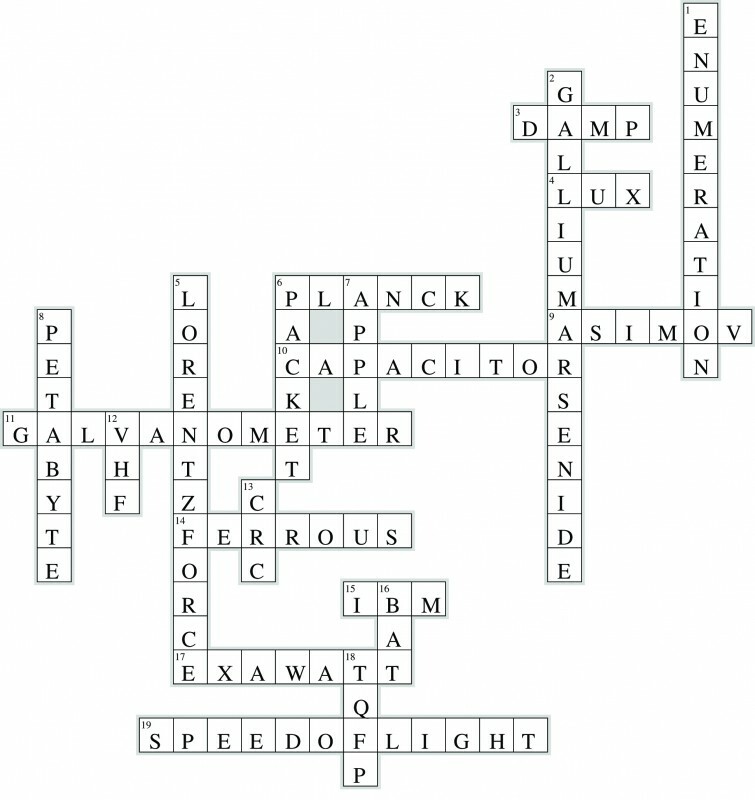 The answer to the September Electrical Engineering Challenge is now live. Congratulations to the winners: John Barraclough (United Kingdom) and Pieter Willemsen (Belgium). 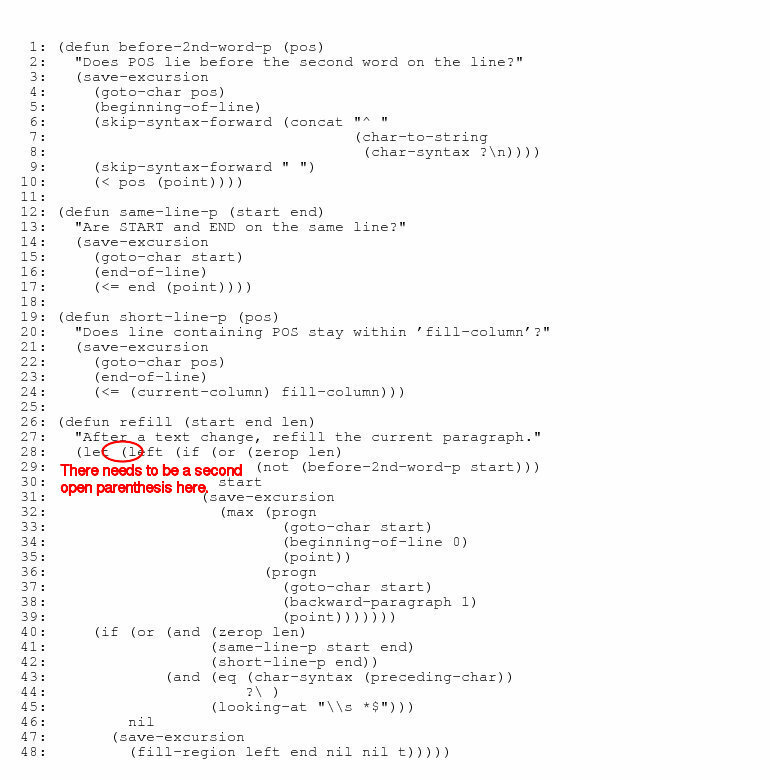 The error is in line 28. There needs to be a second open parenthesis. The next Challenge launches on October 1, 2015. Good luck! Featuring a very compact footprint as well as excellent usability, Vision Components VCSBCnano Z-RH-2 series embedded cameras enable high-speed image processing in real time. The ultra-small products are available for cost-sensitive OEM applications where installation space is limited. 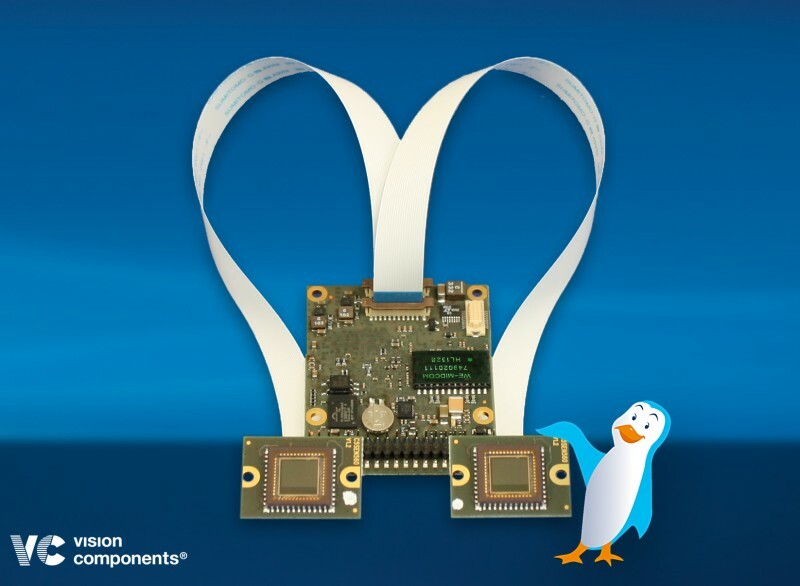 The smart cameras are equipped with a Xilinx ZYNQ dual-core Cortex A9 ARM processor clocked at 2 × 866 MHz, which comes with an integrated FPGA running the VC Linux operating system. The miniature board dimensions of 40 × 65 mm for the main board and 24 × 18 mm for the sensor boards combined with custom installation and connection options facilitate a flexible integration into industrial or other applications (e.g., high-speed and line camera applications). All VCSBCnano Z-RH-2 cameras feature 12 programmable inputs and outputs, an optically isolated trigger output, a flash trigger, Gbit Ethernet interface, RS-232 interface, and I²C interface. They are available with five different CMOS sensors with a global shutter that provide resolutions up to 4.2 Megapixels. An optional IP67 case, either with or without integrated optics and lighting, ensures protection in harsh environments. For users seeking to fully exploit the performance potential of the hardware, Vision Components also offers an FPGA programming service which can accelerate processing speeds many times over. Like all VC cameras, VCSBCnano Z series cameras come complete with the free-of-charge VCLib software library, which provides over 300 basic industrial image processing functions such as pattern matching. 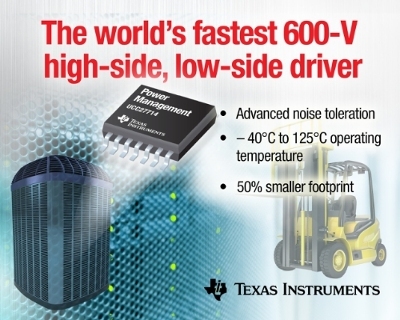 Texas Instruments recently introduced the UCC27714 half-bridge gate driver for discrete power MOSFETs and IGBTs that operate up to 600 V. With 4-A source and 4-A sink current capability, the UCC27714 reduces component footprint by 50%. In addition, it provides 90-ns propagation delay, 40% lower than existing silicon solutions, tight control of the propagation delay with a maximum of 125 ns across –40°C to 125°C and tight channel-to-channel delay matching of 20 ns across –40°C to 125°C. The device eliminates the need for bulky gate drive transformers, saving significant board space in high-frequency switch-mode power electronics. The UCC27714 is now available. The high-speed 600-V, high-side low-side gate driver costs $1.75 in 1,000-unit quantities. NXP Semiconductors has announced the new Mantra RF family of high-performance transceivers and receivers for secure car access and vehicle management. The chip family offers a long-range (several hundred meters), two-way RF link for bidirectional communication between a key fob and car. Keys with Mantra enable you to remotely check your vehicle’s fuel, battery levels, and maintenance data. In addition, you can check if the doors and windows are locked, as well remotely operate your vehicle’s locks, ignition, and temperature. Furthermore, the Mantra family provides strong security and authentication features to prevent unauthorized access. The emergence of the smartphone industry has enabled the commodity hardware market to expand at an astonishing rate. Providers are creating cheap, compact, and widely compatible hardware, which bring about underestimated and unexplored security vulnerabilities. Often, this hardware is coupled with back end and front end software designed to handle data-sensitive applications such as mobile point-of-sale, home security, and health and fitness, among others. Given the personal data passed through these hardware devices and the infancy of much of the market, potential security holes are a unique and growing concern. Hardware providers face many challenges when dealing with these security vulnerabilities, foremost among them being distribution and consequent deprecation issues, and the battle of cost versus security. 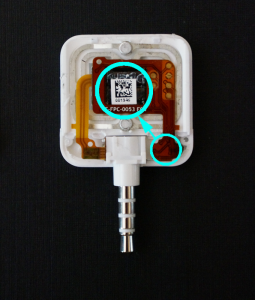 The encryption chip for the Square Reader, a commodity hardware device, is located in the bottom right hand corner instead of on the magnetic head. This drastically reduces the cost of the device. An important part of designing a hardware device is being prepared for a straightforward hardware deprecation. However, this can be a thorn in a provider’s side, especially when dealing with widespread production. These companies create on the order of millions of copies of each revision of their hardware. If the hardware has a critical security vulnerability post-distribution, the provider must develop a way to not only deprecate the revision, but also fix the problem and distribute the fix to their customers. A hardware security vulnerability can be very detrimental to companies unless a clever solution through companion software is possible to patch the issue and avoid a hardware recall. In lieu of this, products may require a full recall, which can be messy and ineffective unless the provider has a way to prevent future, malicious use of the insecure previous revision. Many hardware providers have begun opting out of conventional product payments and have instead turned to subscription or use-based payments. Hence, the provider may charge low prices for the actual hardware, but still maintain high yields, typically through back end or front end companion software. For example, Arlo creates a home security camera with a feature that allows users to save videos through their cloud service and view the videos on their smartphone. The price of the camera (their hardware) is mid-range when measured against their competitors, but they charge a monthly fee for extra cloud storage. This enables Arlo to have a continual source of income beyond their hardware product. The hardware can be seen as a hook to a more stable source of income, so long as consumers continue to use their products. For this reason, it is critical that providers minimize costs of their hardware, even down to a single dollar—especially given their large-scale production. Unfortunately, the cost of the hardware is typically directly related to the security of the system. For example, a recent vulnerability found by me and my colleagues in the latest model Square Reader is the ability to convert the Reader to a credit card skimmer via a hardware encryption bypass. This vulnerability was possible due to the placement of the encryption chip on a ribbon cable offset from the magnetic head. If the encryption chip and magnetic head had been mounted to the Reader as an assembly, the attack would not have been possible. However, there is a drastic difference in the cost, on the order of several dollars per part, and therefore security was sacrificed for the bottom line. This is the kind of challenging decision every hardware company has to make in order to meet their business metrics, and often it can be difficult to find a middle ground where security is not sacrificed for expense. New commodity hardware will continue to integrate into our personal lives and personal data as it becomes cheaper, more compact, and universally compatible. For these reasons, commodity hardware continues to present undetermined and intriguing security vulnerabilities. Concurrently, hardware providers confront these demanding security challenges unique to their industry. They face design issues for proper hardware deprecation due to massive distribution, and they play a constant tug-of-war between cost constraints and security, which typically ends with a less secure device. These potential security holes will remain a concern so long as the smartphone industry and commodity hardware market advance. 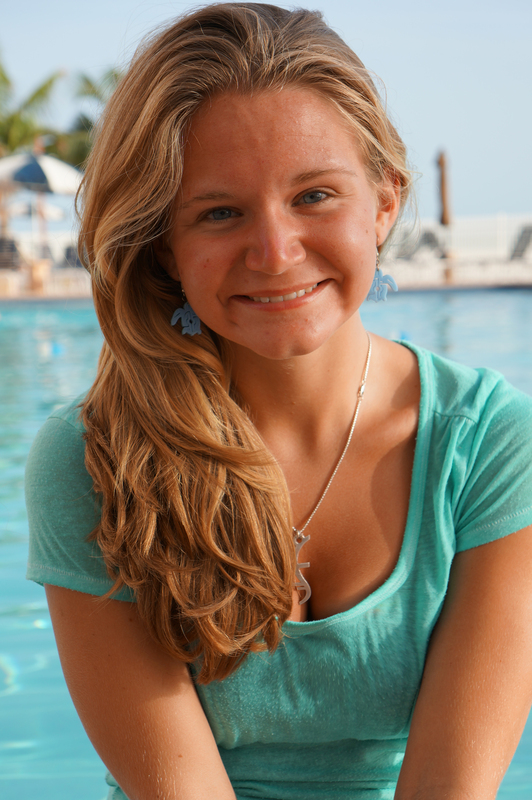 Alexandrea Mellen is the founder and chief developer at Terrapin Computing, LLC, which makes mobile applications. She presented as a briefing speaker at Black Hat USA 2015 (“Mobile Point of Scam: Attacking the Square Reader”). She also works in engineering sales at The Mellen Company, which manufactures and designs high-temperature lab furnaces. She has previously worked at New Valence Robotics, a 3-D printing company, as well as The Dorm Room Fund, a student-run venture firm. She holds a BS in Computer Engineering from Boston University. During her undergraduate years, she completed research on liquid metal batteries at MIT with Group Sadoway. See alexandreamellen.com for more information. 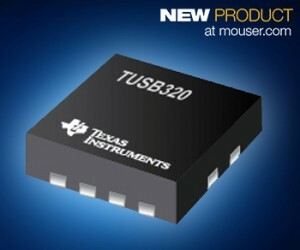 Mouser Electronics is now stocking the Texas Instruments TUSB320 family of USB Type-C configuration channel logic and port controllers from Texas Instruments (TI). The TUSB320 family of devices provide USB Type-C configuration channel (CC) logic and port control, making it possible for a system to detect the orientation of the plug, and determine the appropriate USB specification and mode settings for the end equipment. The TI TUSB320 devices, available from Mouser Electronics, can be configured as a downstream-facing port (DFP), upstream-facing port (UFP), or a dual-role port (DRP). The family of products supports USB 2.0 and USB 3.1, giving designers the flexibility to use these devices in multiple USB-enabled designs. The TUSB320 family also contains several features (such as mode configuration and low standby current), which make this device applicable for source or sinks in USB 2.0 applications. The device operates over a wide supply range (2.7Vbus – 5.5Vbus) and offers low power consumption; its low shutdown power of 8 mW benefits a variety of battery-powered applications. The TUSB320 family of devices offers I2C or GPIO control, an industrial temperature range of -40 to +85 degrees Celsius, and support for up to 3A advertisement and detection. The devices can be used for host, device, and dual-role port applications in mobile phones, tablets, and USB peripherals. The TUSB320EVM, also available from Mouser Electronics, provides an evaluation platform for the TUSB320 device. This plug-and-play module is configurable via onboard DIP switches for DFP, UFP, or DRP implementations, operating in I2C or GPIO mode. Infineon Technologies recently announced that it developed a digital platform for power supply with which LED lighting systems can be controlled intelligently, thus making maximum energy savings possible. According to Infineon, with .dp digital power 2.0, development time can be reduced by up to 70%. The ICL8105 and ILD2111 controllers are the two new members of the platform. The ICL8105 is a digitally configurable flyback controller with Power Factor Correction (PFC) for constant power LED drivers from 10 to 80 W. Since only a few external components are required, a cost reduction of up to 10% is possible. The controller has powerful algorithms and supports multiple operating modes. Advantages are a high efficiency and power factor correction plus low distortion. This produces a high quality of light with no flickering. The controller has an input for 0 to 10 V dimming; there is no need for an oscillator including power supply. An active burst mode significantly extends the dimming range, while preventing undesirable effects such as flickering or shimmering. To protect the LED driver in case of overtemperature, the ICL8105 automatically reduces the output current in case of overload. The ILD2111 is a digitally configurable buck controller that’s designed as a constant current source with output current control (backlash) for LED drivers in the range from 10 to 150 W. Thus, the regulator addresses diverse commercial LED applications. Like the ICL8105, the ILD2111 requires only a few external components. The output current can be set easily and accurately by a resistor, and is also compatible with the LEDset interface. 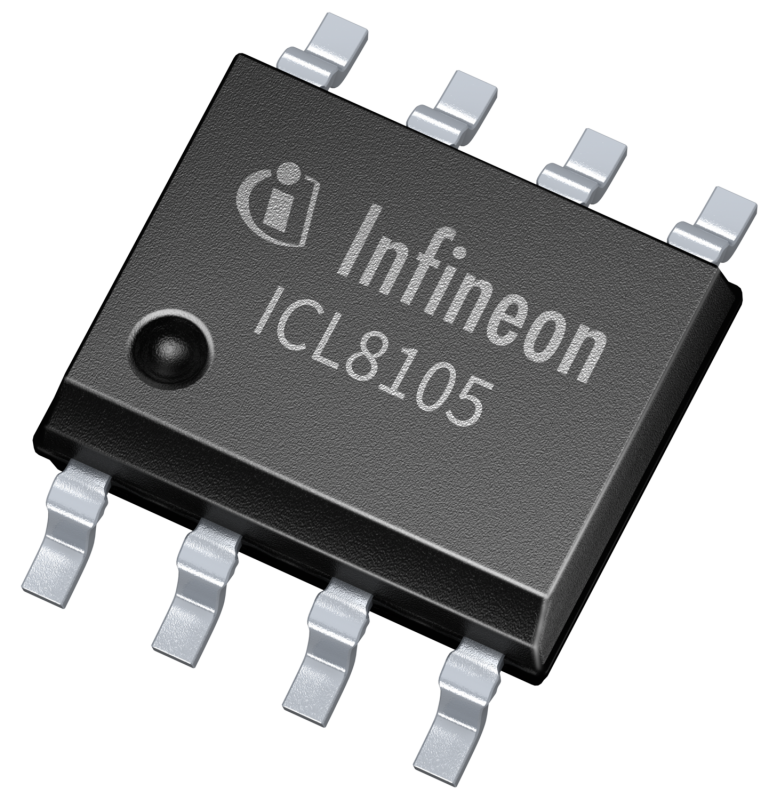 The IC provides flicker-free PWM dimming down to 1%. The component automatically selects an operating window in order to optimally regulate different loads, depending on the switching frequency and the ripple of the output current. The output voltage is specified with 15 to 55 VDC. User-configurable features protect the component at undervoltage and overvoltage, short circuits, overcurrent or high temperatures. Both the ICL8105 and the ILD2111 are available as samples and can be ordered in high volume. Development boards, the .dp Interface Board and the .dp Vision GUI software are offered for both controllers. Dialog Semiconductor and Atmel Corp. recently announced Dialog will acquire Atmel in a cash and stock transaction for approximately $4.6 billion. According to reports, the deal will likely close in the first quarter of 2016. The transaction—which has been unanimously approved by the boards of directors of both companies and is subject to regulatory approvals in various jurisdictions, as well as the approval of Dialog and Atmel shareholders—will likely close in Q1 2016. Jalal Bagherli will continue as Chief Executive Officer and Executive Board Director of Dialog. FTDI recently launched a new family of evaluation/development modules to encourage the implementation of its next-generation USB interfacing technology. Its FT600/1Q USB 3.0 SuperSpeed ICs are in volume production and backed up by the UMFT60XX offering. The family comprises four models that provide different FIFO bus interfaces and data bit widths. With these modules, the operational parameters of FT600/1Q devices can be fully assessed and interfacing with external hardware undertaken, such as FPGA platforms. 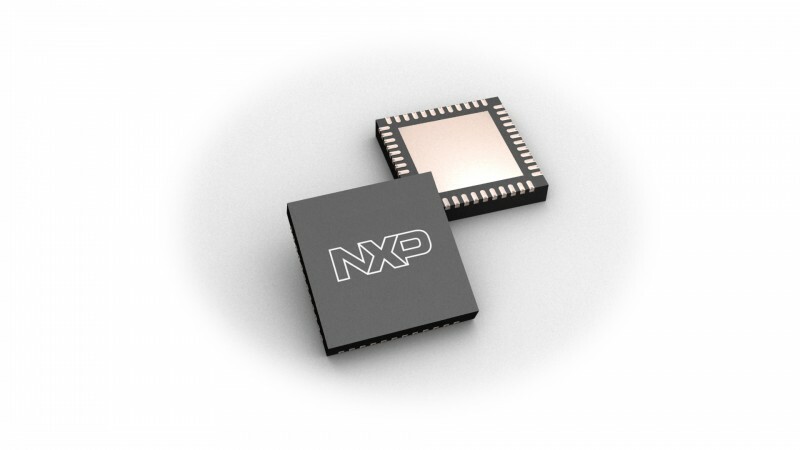 At 78.7 mm × 60 mm, the UMFT600A and UMFT601A each have a high-speed mezzanine card (HSMC) interface with 16-bit-wide and 32-bit-wide FIFO buses, respectively. The UMFT600X and UMFT601X measure 70 mm × 60 mm and incorporate field-programmable mezzanine card (FMC) connectors with 16-bit-wide and 32-bit-wide FIFO buses, respectively. The HSMC interface is compatible with most Altera FPGA reference design boards, while the FMC connector delivers the same functionality in relation to Xilinx boards. Fully compatible with USB 3.0 SuperSpeed (5 Gbps), USB 2.0 High Speed (480 Mbips), and USB 2.0 Full Speed (12 Mbps) data transfer, the UMFT60xx modules support two parallel slave FIFO bus protocols with an achievable data burst rate of around 400 MBps. The multi-channel FIFO mode can handle up to four logic channels. It is complemented by the 245 synchronous FIFO mode, which is optimized for more straightforward operation. Problem 1: The diagram below is a simplified illustration of a switchmode “buck” DC-DC converter with synchronous (active) rectification. The switching elements are shown as MOSFETs, with the associated body diodes drawn explicitly. The details associated with driving the MOSFET gates are ignored, other than to say that when one is on, the other is off, and the duty cycle is variable. This is, by definition, a CCM (continuous conduction mode) converter. What does this tell us about the relationship between VA, VB and the duty cycle of the switching? Answer 1: In normal operation, M2 is switched on first, and current flows through it and L1, charging the inductor with magnetic energy. When M2 switches off and M1 switches on, the current continues to flow through L1, discharging its stored energy. Problem 2: Can the output of such a converter sink as well as source current? If so, where does the current go? Answer 2: Yes, as mentioned above, it can indeed sink current. When the current in L1 goes negative, the current flows through M1 to ground as long as M1 is on. But when M1 switches off and M2 switches on, this forces current back toward VA and C2, until the voltage across L1 causes the current to ramp back up to zero and then positive again. Problem 3: Draw a similar diagram for a switchmode “boost” DC-DC converter with synchronous rectification. What interesting thing can you say about the two diagrams? In normal operation, M1 switches on first, charging L1 with magnetic energy. Then, M1 switches off and M2 switches on, allowing the stored energy to discharge into C2. The remarkable thing about this diagram is that it is an exact mirror image of the buck converter! Question 4: Based on the answers to the previous questions, what can you say about the direction of power flow through this type of converter? Note that this is a simple rearrangement of the terms in the equation for the buck converter — in other words, it’s the same equation. This tells us that regardless of which way the power is flowing, the relationship between VA and VB is simply a function of the switching duty cycle. So, to turn this into a concrete example, if the PWM control is set up so that M2 is on 5/12 = 42% of the time, you could apply 12V at VA and get 5V out at VB, OR you could apply 5V at VB and get 12V out at VA! One final note about regulation: This circuit provides a specific ratiometric relationship between the two voltages that is based on the duty cycle of the switching. If the input voltage is unregulated, but you want a regulated output voltage, then you need to provide a mechanism that varies the duty cycle of the switch in order to cancel out the input variations. Note that this control could be based on measuring the input voltage directly (feedforward control) or measuring the output voltage (feedback control). 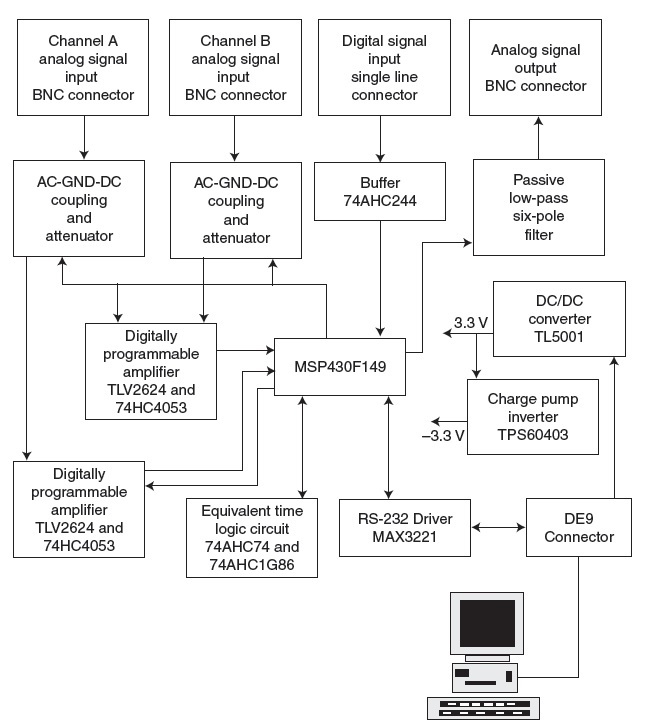 If you’re going to build a practical bidirectional power converter with regulation, you’ll have to pay extra attention to how this control mechanism works in both modes of operation. Problem 1: What do we call a network of gates that has no feedback of any kind? What is its key characteristic? Answer 1: A network of gates that has no feedback is called “combinatorial logic”, or sometimes “combinational logic”. Its defining characteristic is that the output of the network is strictly a function of the current input values; the past history of the inputs has no effect. The branch of mathematics associated with this is called “combinatorics”, and we say that the output is the result of logical combinations of the input values. Problem 2: What do we call a network of gates that has negative feedback? Give an example. The simplest example is the “ring oscillator,” which simply comprises an odd number of inverters, each with its output connected to the input of the next. When any output changes state, the change propagates all the way around through the chain and forces it back to the opposite state. Note that a single inverter fed back to itself will not usually oscillate. Because the propagation delay is comparable to the transition time, the output will usually just settle at an intermediate analog value, rather than any valid digital value. Problem 3: What do we call a network of gates that has positive feedback? Give an example of the simplest possible such network (there are several). Answer 3: A network of gates with positive feedback becomes an asynchronous state machine (ASM). The network’s output becomes a function of both its current input values and the past history of the input values — in other words, the network can be said to have a “memory” of its past. The simplest possible examples include a single AND gate or a single OR gate. An AND gate with one input tied to its output has two output states, 0 and 1. If the other input has at any time in the past been driven to 0, then the output will be 0; otherwise it will be 1. Similarly, the output of an OR gate with one input tied to its output will be 1 if the other input has ever been driven to 1. 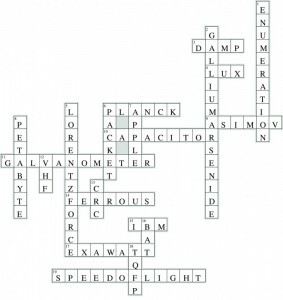 Problem: Why are NAND gates and NOR gates considered to be “universal” gates? Why is this important? 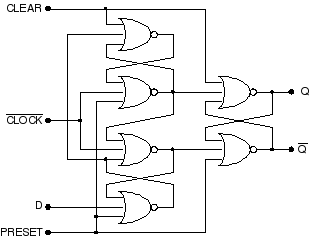 Answer 4: It can be shown that any logical function can be created from a network of only NAND gates, or of only NOR gates. This includes ASMs such as the two-NAND or two-NOR flip-flop described above. This is important because many of the basic technologies for creating digital gates tend to require that each gate be implicitly inverting. In other words, a 1 on an input can only force a 0 at the output, and vice-versa. Examples include RTL (resistor-transistor logic), which is based on NOR gates, and DTL (diode-transistor logic) or TTL (transistor-transistor logic), which are based on NAND gates. This is particularly true of CMOS, the most popular implementation technology in current use. Any network of N-channel pull-down transistors and P-channel pull-up transistors can only invert an input signal. The big advantage of CMOS is that NAND and NOR gates can be combined with equal ease. 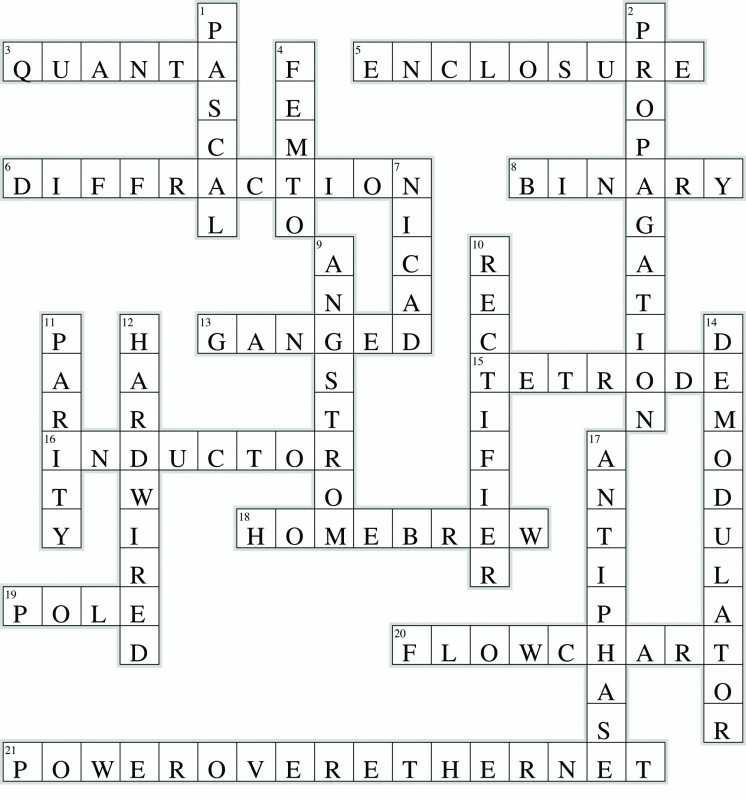 The answers to Circuit Cellar’s October 2015 electrical engineering crossword puzzle are now available. 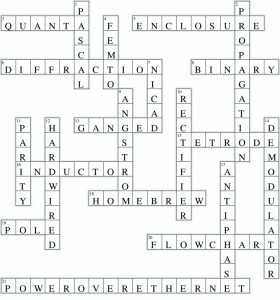 The answers to Circuit Cellar’s September 2015 electrical engineering crossword puzzle are now available.